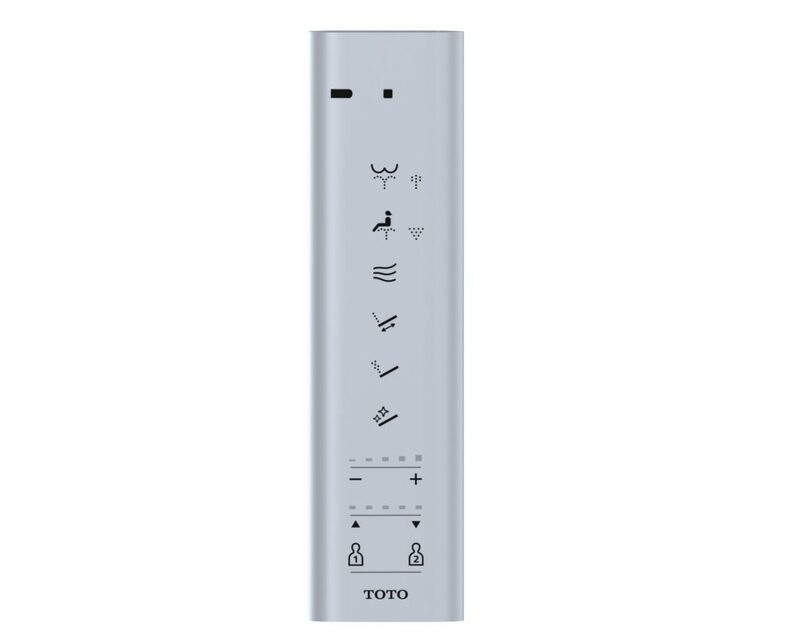 The Toto S500e is one of the newest bidet seats released by Toto. 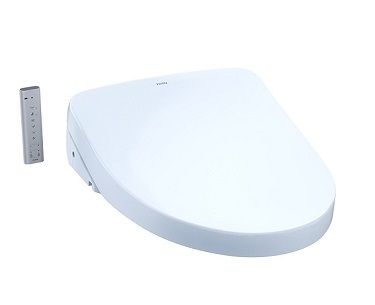 It is the newer model of the Toto S300e which is an advanced bidet seat that was released a few years ago. The S300e is one of the more popular luxury bidet seats, and today we’re going to take a look at the Toto S500e. We’re loving the new look on the S500e bidet seat and can’t wait to share it with you. So without further ado! One of the things we like most about the older S300e is the slim design. At the highest point at the back it measures less than 4 inches tall, whereas most bidets are around 6 inches tall. This is just as we expect from an advanced bidet – slim, sleek, and gorgeous. This S500e is no different. It has a slim design. And with the S500e, you can actually pick from two different styles: Contemporary and Classic. Contemporary is more modern-looking of the two, and measures under 5 inches at the tallest point at the back. And Classic has nice detail along the edge of the lid, and measures exactly 5 inches at the tallest point at the back. However, the S500e is only available in an elongated version. This is one major difference from the S300e, which is available in both elongated and round versions. 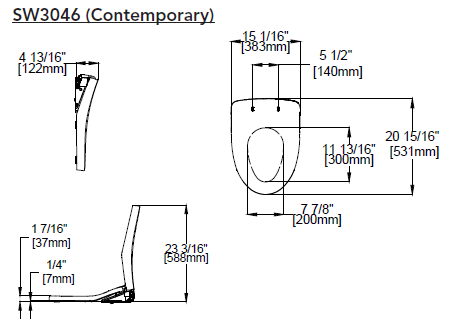 The dimensions for the S500e Contemporary seat are 20-15/16” long, 15-1/16” wide, and 4-13/16″ tall. 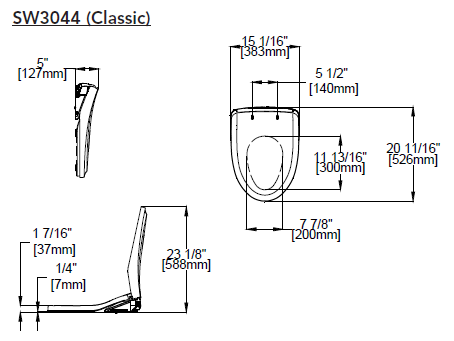 And the dimensions for the S500e Classic seat are 20-11/16” long, 15-1/16” wide, and 5″ tall. With regards to the remote control, this is also an area where the S500e differs from the older S300e. It’s still a remote control, but the one with the S500e has been upgraded. It’s an illuminated touch pad remote control with a rounded-edge design. So when you hold it in your hands, it would have a better ergonomic feel compared to the other remote. This remote is powered by two AA batteries. The Toto S500e comes in Cotton white or Sedona beige. As far as features go, the S500e is essentially the same as the S300e. So why did Toto make another bidet seat that’s so similar? Our guess is that they wanted to keep what was already good and make certain upgrades to the bidet seat – namely, a more advanced remote control and an updated look. So what are the features of this bidet seat? Four dedicated cleansing modes: rear, rear soft, front, and wide front; pulsating and oscillating cleansing; heated seat; air deodorizer; air dryer; ewater+ (electrolyzed water) cleaning system for the bowl and (new to the S500e) wand as well; pre-mist function; programmable wash settings for two people; and energy saver. The one thing we would like to point out here is the ewater+ system feature. Electrolyzed water cleaning is a safe cleaning method that uses a solution of regular tap water with (typically) sodium chloride that has been passed through an electric current and is able to kill many viruses and bacteria. With the Toto S500e, the ewater+ system cleans the bowl and the wand, whereas the ewater+ system in the S300e only cleans the bowl. The pre-mist function sprays the bowl before use to make it difficult for dirt to adhere, and the air deodorizer starts automatically when you sit down on the toilet. Together, these features make the Toto S500e one of the best bidet seats for people who want a super clean and odor-free toilet! Do you need a hot water supply to use this bidet seat? The answer is no. The toilet seat heats water using an instant (tankless) water heating system. But you will need to plug the seat into an electric outlet. Picking a bidet seat is difficult. On the one hand, it’s something that you always use and will use for many years, so why not get the best? On the other hand, you wonder if it’s worth spending the extra money on advanced features? To help with your decision, we put together some reasons why the Toto Washlet S500e might suit your needs. One drawback of the Toto S500e is that it’s only available in an elongated version. If you have a round toilet, it will not work for you. Unless you’re willing to install a new elongated toilet, we recommend purchasing the Toto S300e instead, which has a round version and the same set of features as the S500e. The Toto Washlet S500e is an extremely beautiful bidet seat packed with advanced features like safe, electrolyzed water cleaning for the bowl and the wand, and a wireless touch pad remote control. It is a premium bidet that excites. Toto never disappoints. And if your friends and family are like us, they’ll also be talking about it with excitement. You can buy this product conveniently online or at your local home improvement store.